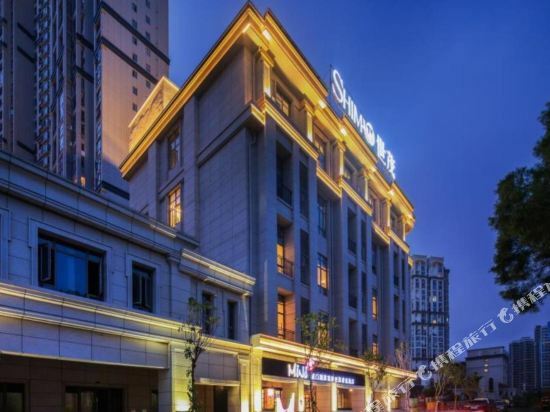 Located on Xingbin Road, near Yuanboyuan Garden, the Aike Xinglinwan Hotel (Aike Xinglinwan Dajiudian) is 20 km (12 mi) from downtown Xiamen This 5-star Xiamen hotel has comfortable and well-furnished rooms that are equipped with a host of modern amenities including flatscreen TVs. Handicapped-accessible rooms are also available. Wi-Fi is offered in public areas. Chinese-food lovers will enjoy the wide range of Chinese cuisine on offer in the hotel restaurant and Western options are also available. Guests who prefer to dine in the privacy of their rooms can order room service 24 hours a day. Business travelers can make use of the business center to conduct any of their work-related needs. In terms of leisure facilities, guests can play billiards, chess, ping pong, tennis or racquetball; enjoy massage at the spa; work out at fitness center; splash into the indoor swimming pool or sing in the karaoke rooms. Xiamen's Xianglu Grand Hotel is located in the city's Huli District.<br><br>This Xiamen hotel features guestrooms and suites equipped with fridges, safes, satellite TVs, IDD phones and Internet access.<br><br>This hotel offers extensive conference and event facilities including two ballrooms which can accomodate up to 950 people and 26 function rooms equipped with audio-visual and lighting equipment as well as simultaneous interpreting facilities.<br><br>In-house dining options include Chinese, Japanese and Taiwanese fare, while there's also a lounge bar and coffee house.<br><br>Leisure facilities include a swimming pool, spa, sauna, massage and a chess room. <br><br>On-site parking is also available. 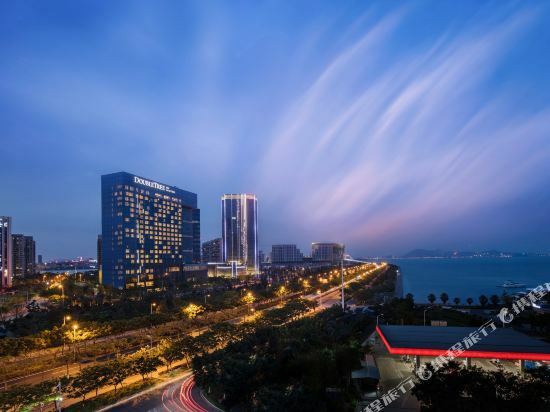 Located in the west of Xiamen Software Industrial Park, the Xiamen Fliport Software Park Hotel (Xiamen Baixiang Ruanjianyuan Jiudian) is a sprawling, 5-star business hotel, conveniently close to Xiamen's International Conference & Exhibition Center and 5 minutes' drive from the Island Ring Road. Rooms are well-appointed with simple but modern d&eacute;cor and all the usual amenities required for a comfortable stay. Two restaurants, a Lobby Lounge and a set of nine private dining rooms offer a wide range of eating and drinking options with authentic Cantonese and Southern Fujian dishes available in the Palace and western favorites in the Bestyard restaurant. The hotel also houses a grand function room together with 14 other meeting rooms in various sizes and 3 exhibition halls. Other facilities include a fitness center, outdoor swimming pool and sunbathing area, all beautifully decorated in a tropical style. 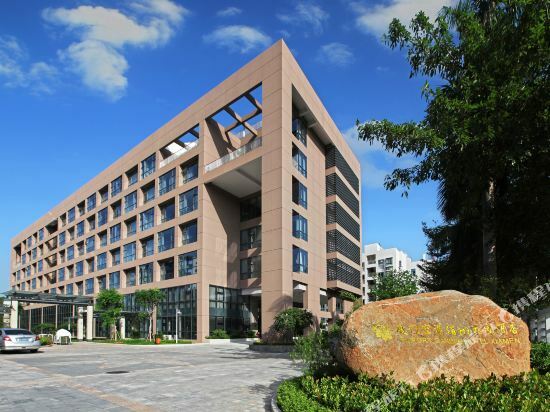 As the first 5-star deluxe hotel in Xiamen city, C&D Hotel, Xiamen is well-known as the Best Urban Oasis and Original Ecological Environments. It features peace, beauty, elegance and warmth styles. 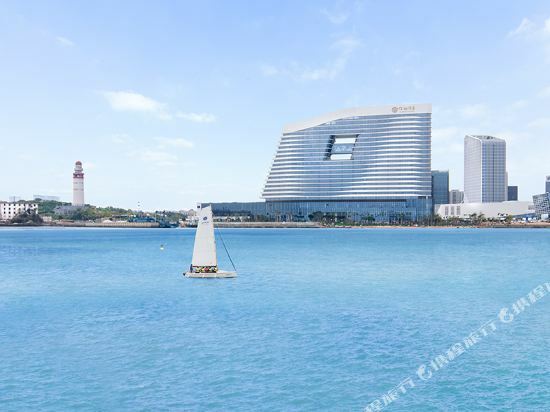 <br>C&D is a famous 5-star hotel leading brand which was originated from the flag-ship hotelC&D Hotel, Xiamen(Former Xiamen Mandarin Hotel), and belongs to Xiamen C&D Tourism&Hotels Incorporation.<br>C&D is aimed to create an inimitable experience of warm hospitality. The C&D’s smile, elegance and enthusiasm will make different.<br>C&D Hotel, Xiamen is rated as a Golden Green hotel. There are totally 200,000 square meters space which are full of greens. Covering more than 70,000 square meters, The Xinyue Ecological Garden is the idyllic place for leisure, golf, sightseeing and sporting. It definitely will highlight your successful business travel, MICE or leisure vacation.<br>The C&D Hotel, Xiamen inherits the traditional and brilliant Chinese Cuisine Culture. The super taste cuisines are your unique experience for prestige dinning in C&D Hotel. C&D cuisines are derived from the elements of nature, fashion, culture and healthy materials, featuring in bright color, sweet smell, fresh taste and elegant decoration. The master chef’s inimitable cooking and the incomparable service create the popular cuisines with the brand of C&D. The C&D Fotiaoqiang is the most famous dish with a legend in Fujian Province.<br>Ideally situated in the center of Xiamen Bay where is the Economic Special Zone cradle, The C&D Hotel, Xiamen is about 6km away from Xiamen Gaoqi International Airport, about 5km away from Xiagu Ferry at Cruise Terminal where guests board to Gulangyu, and adjoins Xiamen zone of Fujian FTZ. 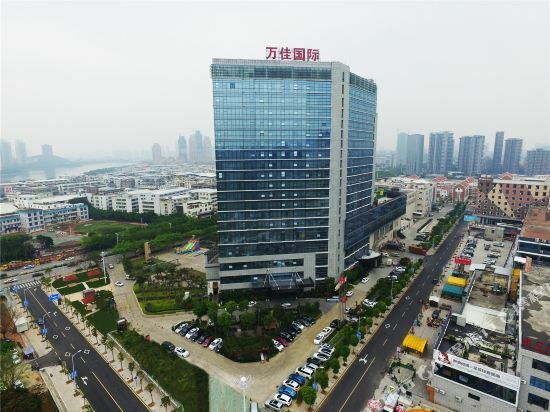 It is convenient to Cruise Terminal, Zhongshan Road, Ferry, High-tech Torch Zone,and SM Shopping Arcade, etc., all where are within 15 minutes of driving. 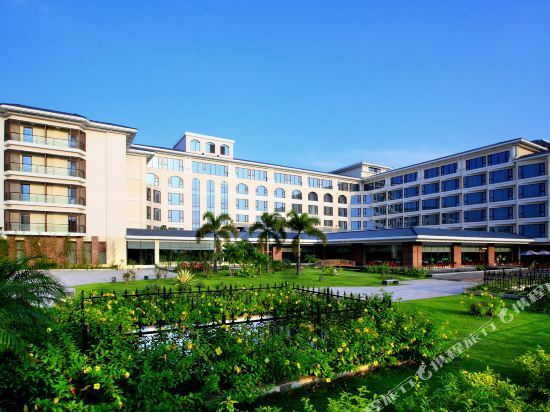 Fliport Garden Hotel Xiamen （known as Airport Garden Hotel before）is a wholly-owned four star hotel of Iport Group Xiamen. As a famous international Business Resort Hotel which has a fascinating central garden, Fliport Garden Hotel Xiamen has won the honor of “Best Upper midscale Business Hotels of China” and “Xiamen Most Characteristic Hotels Top 10”.<br>Located to the west of Gaoqi International Airport, Fliport Garden Hotel Xiamen is the four star hotel that comes closest to the airport and Xiamen North Railway Station. People can reach SM City Plaza, Wanda Square, etc. within 10 minutes drive. It takes only 15 minutes drive to the Train Station & International Conference Center，30minutes to North Railway Station and 20 minutes drive to Ferry Terminal.<br>Thoughtful exclusive services: Free 24h Airport Shuttle Bus Service (need advanced reservation); Airport Common Use Self Service Check-In; Fliport Lounge Service; Business/VIP Boarding Service; Bus Route Service (A route: Hotel-Xiamen North Railway Station; B route: Hotel-Railway Station-Ferry Terminal); Flight Information Check System etc..<br>Garden Hotel has 342 comfortable sightseeing rooms in which you could enjoy fantastic scenery of central garden, parking apron or sea view. All rooms are equipped with hi-tech facilities, such as central satellite TV, wireless internet, international direct phone and kung fu tea sets. <br>The hotel endows with different kinds of restaurants for your option. Air café and Feiyun Chinese restaurant offer you delicious Chinese style cuisine, buffet and dim-sum to make your stay a feast. The hotel is also well stocked with a five star swimming pool, tennis-court and gym which will surely make your stay here colorful. 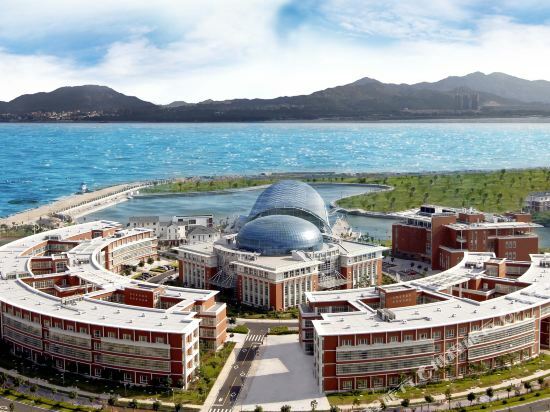 <br>Located in the hotel garden, the International Conference Center is endowed with 9 different sizes meeting rooms ranging from 30 to 4000 intake capacity; it offers hi-tech facilities like six channel simultaneous interpretation system. 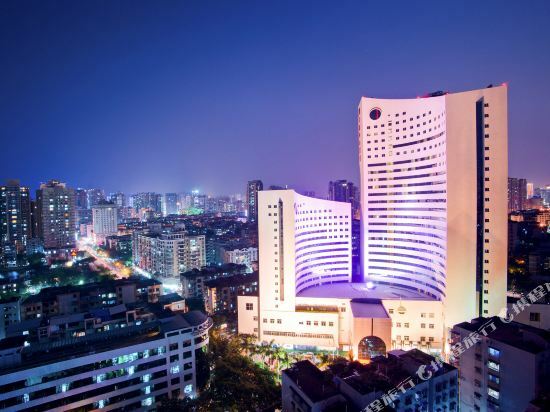 The Sansiro Hotel (Xiamen Shengxiluo Jiudian) is located in the central Xiamen Island area not far from the city's major commercial areas and shopping malls. Xiamen Railway Station is just 5 km (3 mi) away, while it will take around 15 minutes to reach the airport by car. Guests can enjoy Chinese, Japanese and Western cuisine at the on-site restaurants, or relax with drink in the lobby bar. Well equipped for the demands of modern business, the hotel features a number of meeting rooms as well as a business center. In their spare time guests can hit the gym for a workout, or relax with the massage and sauna facilities. 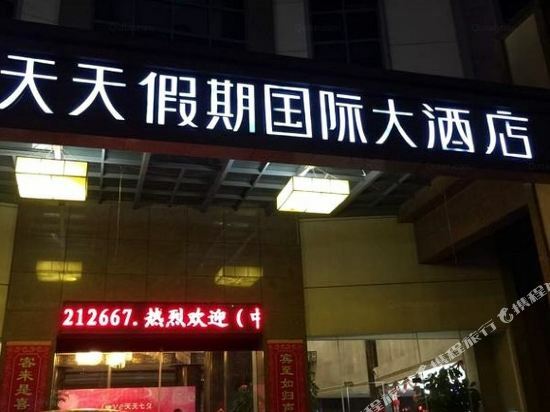 This Xiamen hotel provides free in-room Wi-Fi access. 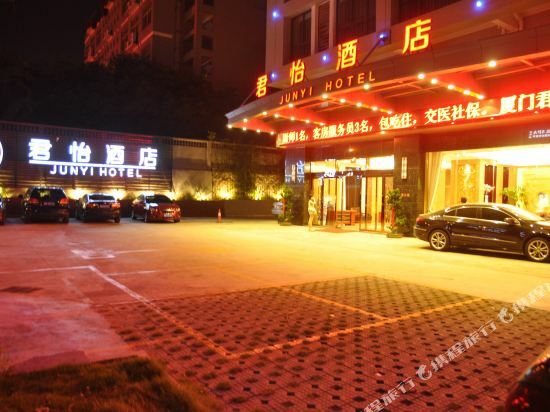 The Wanjia International Hotel (Xiamen Wanjia Guoji Jiudian) is located within easy reach of Zhonglun Park (Zhonglun Gongyuan), just 5 km (3 mi) from Xiamen Railway Station. Xiamen Gaoqi International Airport is approximately 7.5 km (4.6 mi) away. Guests can dine on Chinese and Western food at the on-site restaurants. Those traveling on business can take advantage of the meeting rooms. Guests with free time can pay a visit to the gym or spa. This Qingdao hotel provides free Wi-Fi in public areas and free parking on site. Situated on the slope of the Xianyue Mountain, Le Meridien Xiamen (Xiamen Aimei Jiudian) offers personalized service, modern design and limitless opportunities for discovery.<br><br>This 5-Star Xiamen hotel offers a tranquil and peaceful environment, yet grants easy access to places of interest, such as Gulangyu Island. Guest rooms and suites are nicely decorated and equipped with all the standard amenities.<br><br>Three on-site restaurants and bars allow guests to explore innovative pairings of flavors and aromas.<br><br>Approximately 2,000 sq m (21528 sq ft) of meeting space allows ample space for meetings and social gatherings.<br><br>When it comes time to relax, guests can swim in the indoor pool, hit the steamy sauna, play a game of ping pong, basketball, tennis or squash or use the fitness facilities. 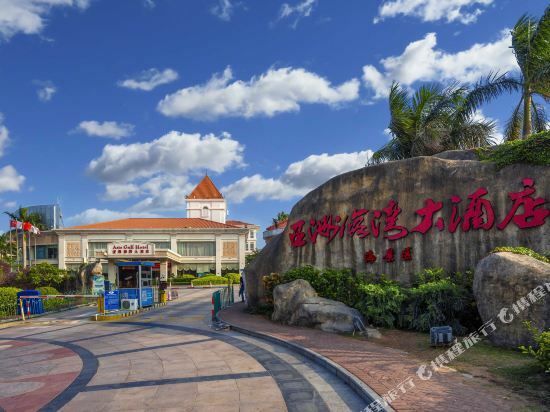 Situated in the center of Huli District, near SM City Square, the Hezheng Hotel (Hezheng Dajiudian) is only 3 km (2 mi) from Xiamen Gaoqi International Airport. Xiamen Railway Station is a 20-minute drive away. Guests can enjoy Cantonese and Fujianese fare while dining at the on-site Chinese restaurant. Business travelers can make use of the business center and meeting rooms to host conferences and events. 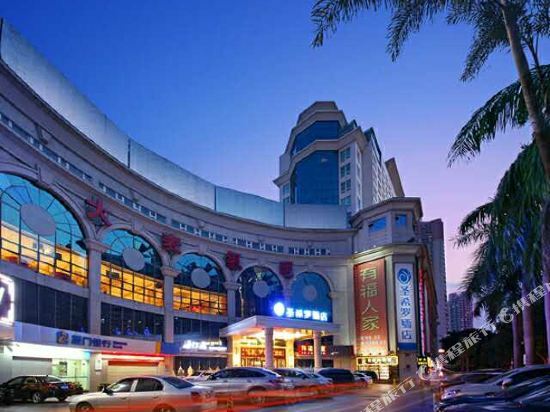 This four-star Xiamen hotel also offers free parking and Wi-Fi access is available in public areas. 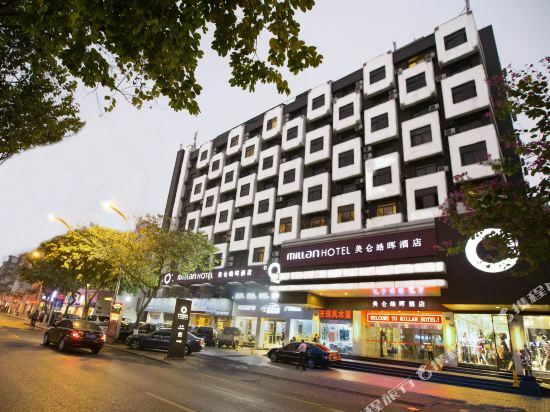 The Yiho Hotel (Xiamen Huliyihao Jiudian) is located in central Xiamen just 6.5 km (4 mi) from Xiamen Gaoqi International Airport and 20 minutes' drive from Xiamen Railway Station. Diners can enjoy both Western and Cantonese Chinese food at the restaurants. Additionally the lounge serves coffee, black tea and lemonade. Those traveling on business can make use of the various meeting rooms as well as the services of the business center. 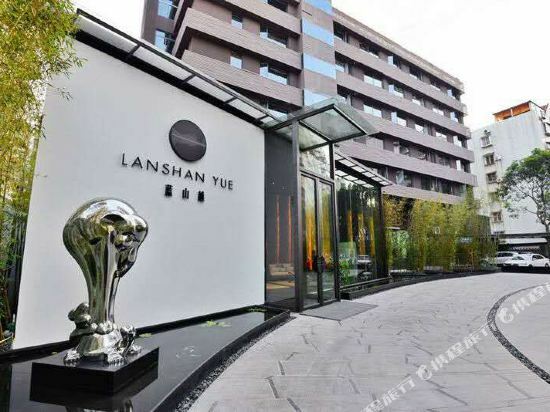 Guests at this Xiamen hotel can enjoy free Wi-Fi access in public areas as well as free parking. Those looking to keep in shape can hit the gym for a workout. 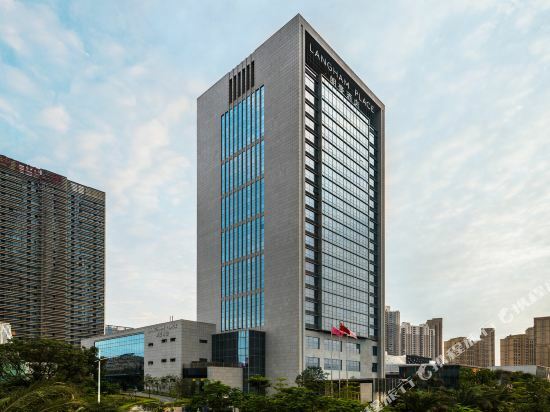 The first DoubleTree by Hilton in Xiamen City, DoubleTree by Hilton Hotel Xiamen Wuyuan Bay is situated in a new CBD zone, near many major international companies. The hotel overlooks the Jinmen Harbor in the north east of Xiamen Island. Wuyuan Bay views are available in 70% of our guest rooms. Our hotel is 8 km from Xiamen GaoQi Airport, 500m from Wutong Passenger Port, and 15 minutes from Xiamen International Exhibition Center. We're 25 minutes from the famous GulangYu, and our location provides easy access to Taiwan. All our spacious guest rooms and suites offer large desks, luxurious beds and WiFi access. Choose an executive room for Executive Lounge access, with complimentary breakfast and happy hour. Start your day with breakfast in the Circle-Themes Buffet Restaurant. Yueming Bay Restaurant offers exclusive fine dining, featuring classic Cantonese cuisine and an assortment of Minnan and Shanghai dishes. Enjoy your meal in the main dining hall or relax in one of our private dining rooms. Unwind in Amoy Lobby Lounge with a pot of tea or a cocktail. Refresh in the sparkling indoor swimming pool or steam room, or re-energize in the 24-hour fitness center. 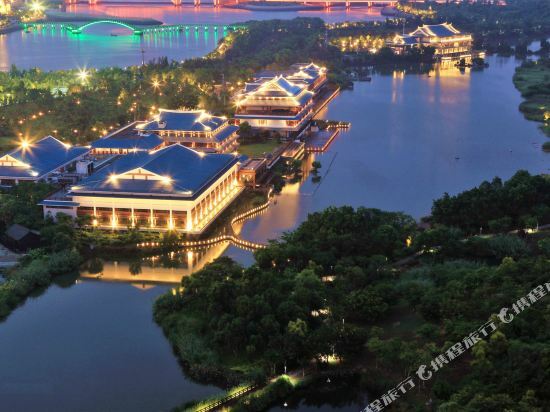 The Xiamen Aqua Resort (Xiamen Wuyuan Shuixiang Jiudian) is situated in a wetland park in Xiamen and is a ten-minute drive from the airport, train station and the International Convention and Exhibition Center. The ferry pier and Gulangyu are both just a 20-minute ride away. <br><br>This Xiamen hotel's various rooms are housed in four villas and in the main building. The hotel's smart conference rooms and multifunctional banquet hall come furnished with simultaneous interpretation systems to ensure seamless international functions. 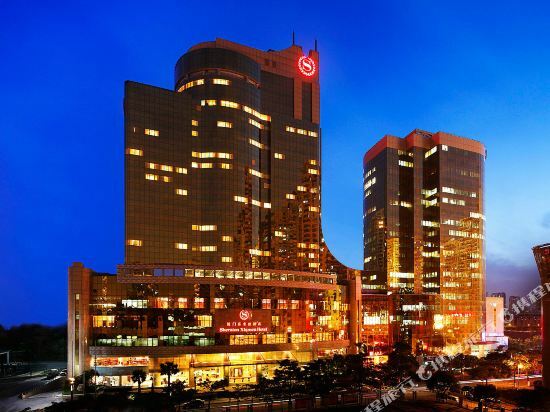 The Sheraton Xiamen Hotel (Xiamen Xilaideng Jiudian) is centrally located in Xiamen's newest commercial district. Just a 15-minute drive from Xiamen International Airport and 20 minutes from downtown, the hotel offers guests a magnificent view of the Jiangtou area and neighboring park.<br><br>Designed by Hirsch, Bedner and Associates (HBA), the 30-story Sheraton Xiamen Hotel offers luxury furnishings in all of its 360 spacious guestrooms, Executive Club rooms and suites.<br><br>Various health and recreational facilities are available including an indoor swimming pool, a full-service health spa, fitness club and hair salon. Guests can also take advantage of the dry cleaning services and wireless broadband Internet access available in most of the hotel's public areas.<br><br>Other services include a business center, ticket office and airport pickup service. 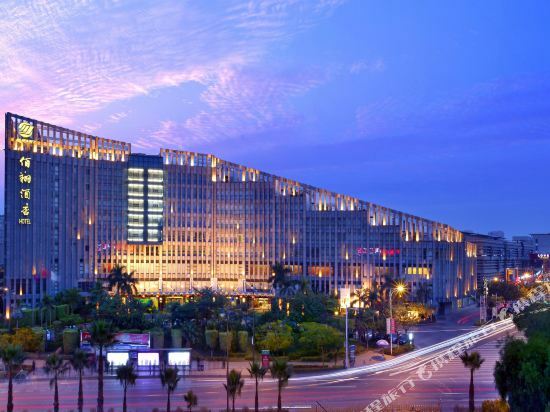 Fortune Hotel Xiamen (Xiamen Fuyoudaisi Dafandian) is located in the financial and business center of Xiamen, adjacent to the International Passenger Wharf. It grants easy access to Haiwan Park, Gaoqi International Airport, Xiamen Railway Station and Zhongshanlu Walking Street. <br><br>Facing the sea, the hotel features the combination of modern art and traditional Chinese culture. 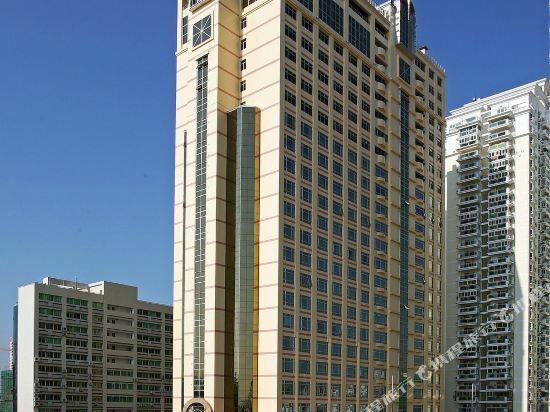 The gorgeous 27-storey hotel offers guestrooms with views of the sea and Gulangyu Island. <br><br>Dining options include authentic Chinese, Western and Japanese restaurants, wine bars, cigar bars and romantic coffee shops. <br><br>Conference rooms and banquet halls offer advanced facilities for meetings or seminars and professional services are available. <br><br>Other amenities in this Xiamen hotel include an indoor golf course simulation, outdoor swimming pool, gym, billiards room, and sauna. 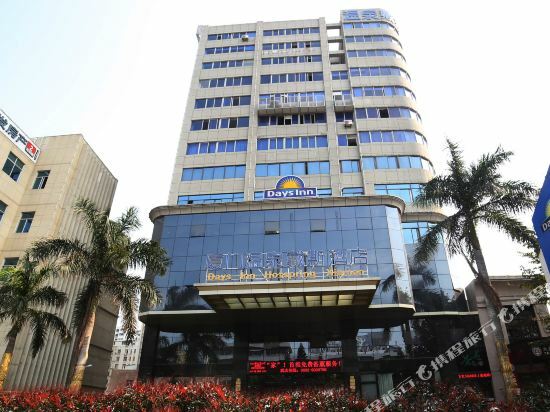 The Days Inn Hotspring Xiamen (Xiamen Wenquan Daisi Jiudian) is just 5.8 km (3.6 mi) from the railway station and 6.7 km (4.1 mi) from the Gaoqi International Airport. <br><br>Free parking and Wi-Fi are available to hotel guests. <br><br>Business travelers have access to meeting rooms and business services. 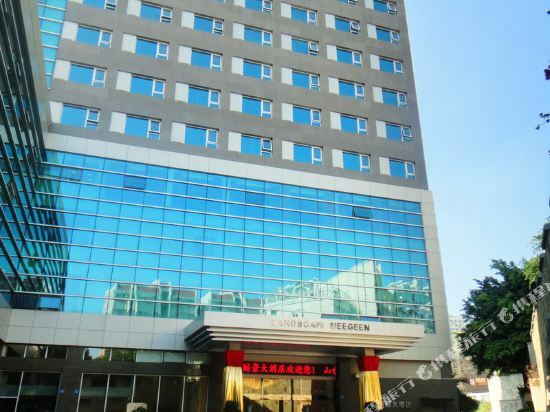 The Tiantian Holiday International Hotel Xiamen (Xiamen Tiantian Jiaqi Guoji Dajiudian) is located in the central administration area of Huli District, with convenient access to the local transportation network. Variously details-attentive styled guest rooms are provided ranging from standard to deluxe rooms. Executive floors on 4-6/F offers guests international newspaper, magazines, books and videos on demand. Exclusive express check-in and checkout and private butler services are available for guests staying in rooms on executive floors. For hungry guests, a Chinese restaurant, Western cafetaria and Japanese restaurant are available to those looking to stay close and not have to sacrifice their appetite. Business options include a meeting space with high quality facilities and a professional support team. For recreation, guests may enjoy leisure time spent at the fitness center or spa. 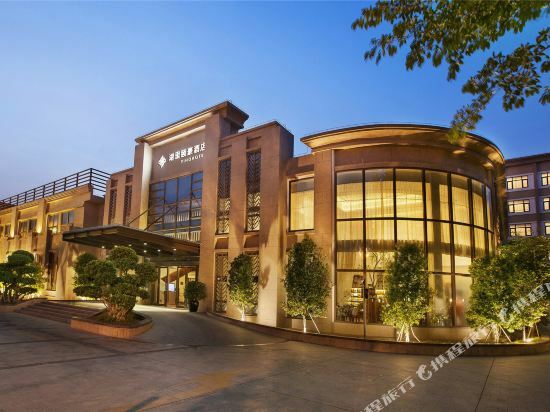 Situated near the SM City shopping center, the Landscape Neegeen Hotel (Shanshui Lijing Dajiudian) is 4 kilometers from Xiamen Railway Station. Xiamen Gaoqi International Airport is a ten-minute drive from the hotel. <br><br>Rooms at this Xiamen hotel are all outfitted with standard amenities and include international direct-dials, in-room safes and central air conditioners. Handicap friendly rooms are also available. Public areas in the hotel offer Wi-Fi. <br><br>The on-site restaurant serves Chinese cuisine, and room service is available for those who request it. 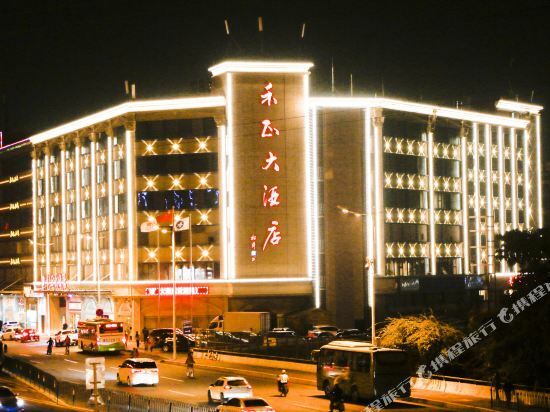 The&nbsp;Xiamen&nbsp;Yuzhou&nbsp;Camelon&nbsp;Hotel&nbsp;(Xiamen&nbsp;Yuzhou&nbsp;Jiameilun&nbsp;Jiudian&nbsp;Gongyu)&nbsp;is&nbsp;located&nbsp;in&nbsp;central&nbsp;area&nbsp;of&nbsp;Huli&nbsp;District,&nbsp;in&nbsp;close&nbsp;proximity&nbsp;to&nbsp;a&nbsp;government&nbsp;building,&nbsp;SM&nbsp;City&nbsp;Plaza&nbsp;and&nbsp;Tesco&nbsp;Hypermarket.&nbsp;The&nbsp;Gaoqi&nbsp;International&nbsp;Airport&nbsp;and&nbsp;Xiamen&nbsp;International&nbsp;Exhibition&nbsp;Center&nbsp;can&nbsp;be&nbsp;easily&nbsp;reached&nbsp;via&nbsp;convenient&nbsp;local&nbsp;transportation&nbsp;network. <br> <br>A&nbsp;wide&nbsp;variety&nbsp;of&nbsp;guest&nbsp;rooms&nbsp;are&nbsp;provided&nbsp;and&nbsp;contemporarily&nbsp;designed,&nbsp;most&nbsp;of&nbsp;which&nbsp;are&nbsp;in&nbsp;multi&nbsp;levels.&nbsp;The&nbsp;apartment&nbsp;rooms&nbsp;are&nbsp;well&nbsp;equipped&nbsp;with&nbsp;kitchens,&nbsp;dining&nbsp;rooms&nbsp;and&nbsp;supplied&nbsp;with&nbsp;wireless&nbsp;Internet&nbsp;access. <br> <br>Breakfasts&nbsp;are&nbsp;served&nbsp;daily&nbsp;at&nbsp;the&nbsp;on-site&nbsp;restaurant. <br> <br>For&nbsp;commercial&nbsp;guests,&nbsp;a&nbsp;business&nbsp;center&nbsp;and&nbsp;meeting&nbsp;rooms&nbsp;are&nbsp;available. <br> <br>A&nbsp;gymnasium&nbsp;is&nbsp;on&nbsp;offer&nbsp;for&nbsp;guests&nbsp;at&nbsp;leisure. If you want to stay in the best hotel in Xiamen, China, please come to Trip.com for a custom trip. Staying in exclusive Xiamen Huli District hotel Trip.com offers, you can fully relax and enjoy the stay in Xiamen and around Xiamen. 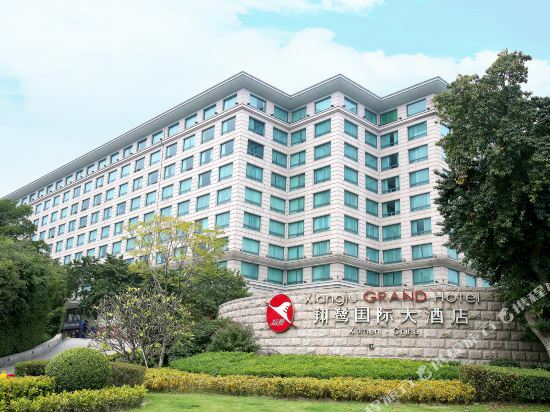 All these Xiamen Huli District hotels lead in the industry in aspects of environment and recreation facilities, providing the best hotel service in Xiamen. 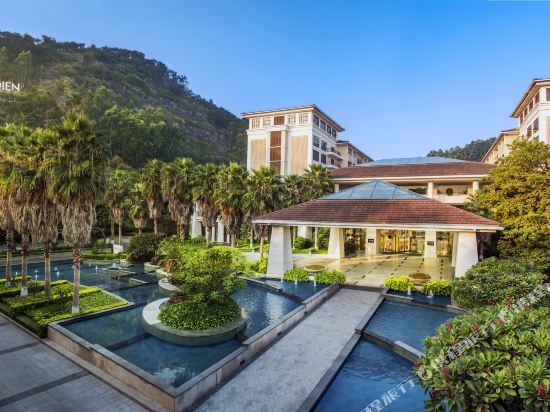 To ensure that you can find the latest Huli District hotel in Xiamen, the latest hotel price as well as hotel facilities and indoor facilities information will be offered. 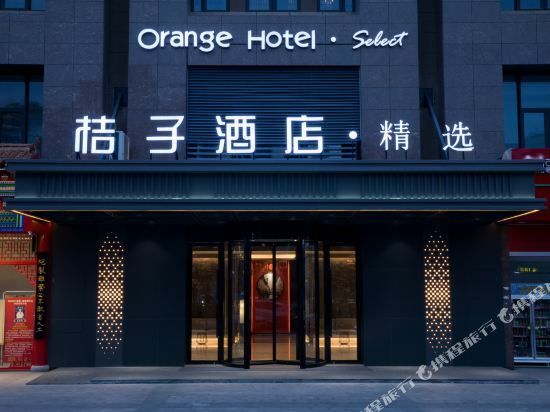 In the meantime, detailed photos of Xiamen Huli District hotel will be displayed, making you know quickly whether hotel’s interior environment meets your taste. Besides, you can know specific location and reviews on Xiamen Huli District hotel from millions of users. If you want a nice room with limited budget, please filter through price and distance to get an appropriate Xiamen Huli District hotel. 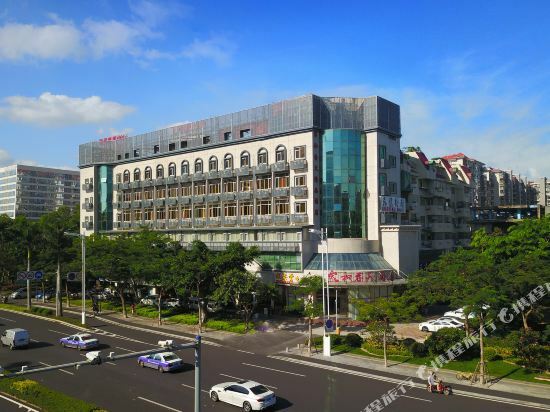 To ensure you can experience the best Xiamen Huli District hotel, users and we give a comprehensive rating on hotel, which gives useful help. 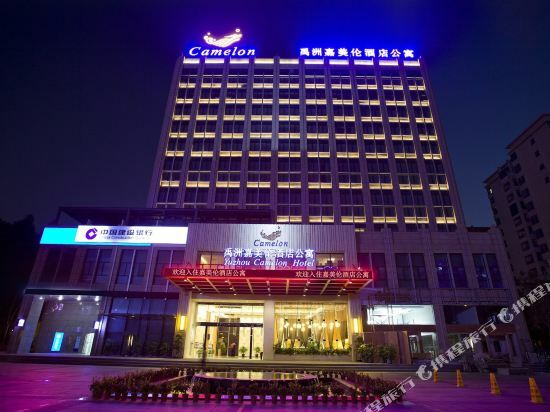 Believe it or not, as the biggest online travel service company, we have the best service assurance and perfect users’ experience to meet your requirements in different aspects, no matter it’s Xiamen hotel or Xiamen Huli District hotel.